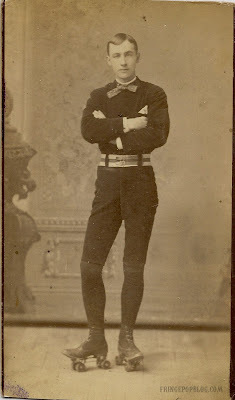 A Victorian man on roller skates. Enough said. But wait...I can't stop myself...I have to comment on his silly bowtie! He looks quite happy with his roller skates and his bowtie!